Now that my rehab is over from being fitted with the most technologically advanced bionic limbs and a new eye that gives me more functionality than a iPhone 4, I can once again get back to my job and start traveling again. So, recently it was a trip to Ho Chi Minh – this is going to be a long post, but hopefully it’s got lots of helpful stuff: online visa application, best flights from HK, hotels, restaurants, clubs an bars, shopping gems, trips and massages. 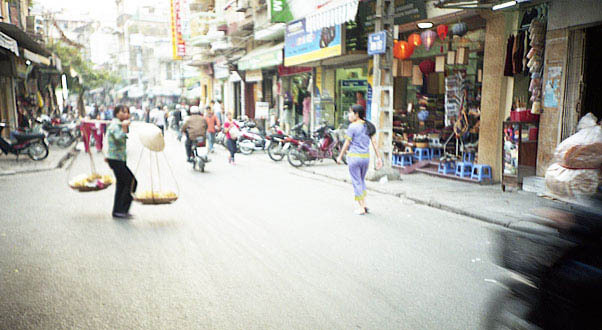 I don’t remember much about Ho Chi Minh the first time I went – delerium had set in after I’d managed to pick up something nasty during a hunt for gem smugglers in Quy Chau back in ’95. Suffice to say that the place is completely different now than it was 15 years ago, when it was all bicycles, nón lá’s and Australian NGOs. I’ve traditionally been a monstrous fan of Hanoi so have spent far more time in that city over the last few years, but I thought it was time to give HCM another shot, and a very pleasant weekend was had too. United Airlines offer a fantastic option to max your time in HCM on a weekend from HK. UA862 leaves HCM at 06:15 getting you back to HK around 09:50, which means you can be in the office by 11am, which is perfect. At that time in the morning in HCM it takes 20mins to get to the airport from the centre of town so it’s not too brutal a wake-up call if you’re checked-out, packed and ready to go. At HCM on the way back we paid US$39 each for extra legroom and ended up on the front row of economy class, which meant we could dash off the plane and into work in the quickest possible time. Visas: We tried the online visa service by www.myvietnamvisa.com. This was convienent and good value and the approval letter arrived within 48 hours. I thought I was being terribly smart by using this service, but once we landed in HCM and sauntered off the plane to immigration, it became apparent that at least 80 other people had had the same bright idea, and so there we sat in immigration for over an hour, waiting for our visas to be processed. Unless I really can’t get my passport down to the consulate here in HK the next time I plan to go to Vietnam I won’t use this service, as it was no fun hanging out in the airport until well past 11pm after a long day in the office. 1) Your visa approval letter will contain a bunch of other names that have nothing to do with you. They process the visa applications in batches of up to 20 at a time, just ignore these other names and check that yours are on there. 2) Run, elbow, trip and barge your way to immigration from the plane to try and be at the front of the queue for visa processing (it’s on left of the immigration hall). It should then only take 15-20 mins. 3) They do take multiple currencies not just US$ and dong (as it says at the counter). We paid in HK$ and although it was a fairly steep exchange rate, there are no ATMs around so you don’t have a choice. HCM should be bursting at the seams with beautifully refurbed deco hotels, but for some reason this is not the case. The place is chockablock with the raw materials, but all of them seem to be state run. So establishments like the Continental, the Rex, the Majestic, and the Grand to name but a few, are absolutely horrendous. Your options therefore, are to stay 5-star brand name, or to go 3-star and below townhouse, otherwise you’ll just be frustrated by what these wonderful old hotels ought to be like. We stayed high-end in the Park Hyatt in District 1 (centre of town), and it was fine rather than excellent. 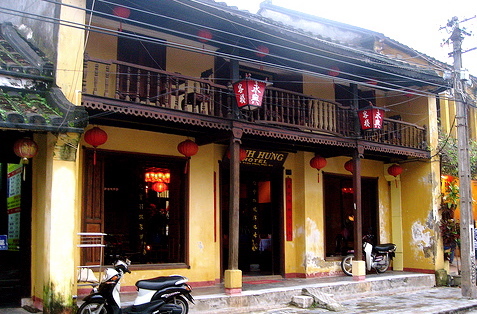 However, there are so many tiny, friendly, cheap and clean little townhouse hotels in District 1 that until a truly interesting boutique/heritage hotel opens I’ll stay in one of those. Next time we would probably stay somewhere like the Catina as it’s slap bang on Dong Khoi, which is a good little street for shops, bars and restaurants, and has in-room wifi. All of the ones below are in District 1, and oh my lord, how cheap it is to eat! The only time we spent over US$40 for the two of us was in Square One in the Hyatt. Like Thailand though, it’s likely that the best meals you can have are just at the most local, plastic-stool-type hawker stalls, which are dotted around the place. Don’t be shy, just point at what you like the look of, or ask another diner what’s good. English and French are pretty widely spoken by young (English) and old (French). Tib – 187 Hai Ba Trung - This place is highly recommended in every guide I looked at inexplicably as it’s way, way past it. Avoid. Quan An Bistro - 71/5 – 71/6 Mạc Thị Bưởi (083.8258275) – down an alley off Mac Thi Buoi in an old town house. Service was good and the food was really decent. Enjoyed it muchly and the staff were friendly. Looks much better in real life than on some of the websites I’ve seen. Temple Club - 29–31 Ton That Thiep. Enjoyable meal – food was good and the decor stylish. Better known as a relaxed lounge bar, it’s best to go for an early dinner as the nightclub down the street’s bass post-9pm was so strong the light-fittings jingled the entire meal. Square One - in the Park Hyatt. Very good food but glad we only went for lunch. The most pricey at US$60 for two, and a bit 5-star pompous. 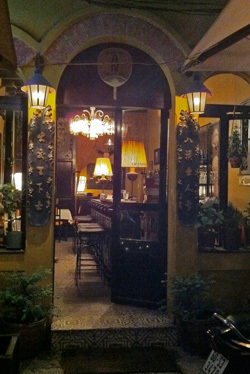 Au Parc – 23 Han Thuyen St, (08-829-2772) – Cute French bistro open from breakfast through dinner time, on the park near the old post office and cathedral etc. 3A3 Bun Bo Hue – 39A Ngo Duc Ke Street in District 1, (38 293 526) – but has branches all over the place. Canteen style, packed for lunch, great food and good value. 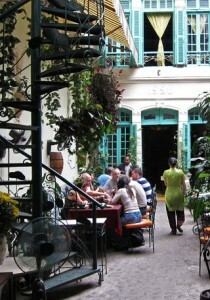 There are loads of restaurants in HCM and lots recommended that we’ll try next time we go. We just wanted to get a handle on the centre of the city so we didn’t go outside District 1. We’ll leave those assaults for future trips. There are coffee joints and cafes all over the shop. Highlands Coffee still seems to be the most pervasive, and has free WIFI which was very useful as most mobile providers don’t have cheap data passes to Vietnam yet. 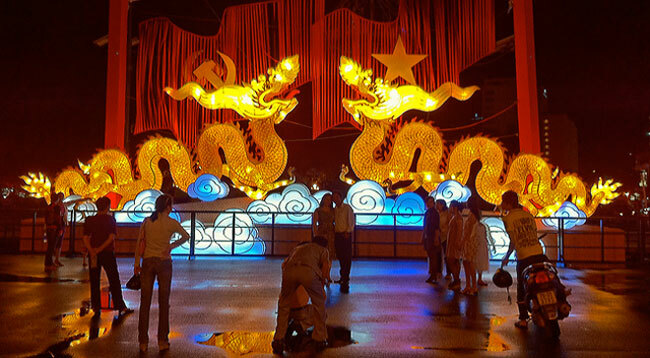 It seems that a fair amount of fun can be had in HCM at night. If you’re gay, then it seems you can have even more! Liquid Club - 104 Hai Ba Trung – We kind of outdid ourselves on our first night out by running across Liquid on Hai Ba Trung. It was the first club we passed on our way back into town from Tib, and who were we to resist the lure of a four storey blue neon festooned club with paramilitary bouncers outside it? T’would have been churlish not to explore. The other clubs we visited after that were tame, snooty or a little bit dull in contrast. It’s a happy house/techno club that seems to be very popular with locals and not so with expats. It was packed with cognac swilling tattooed gangsters in caps, surrounded by stunning six-footers, and office-workers celebrating birthdays (we knew this because we were subjected to a techno rendition of Happy Birthday at least five times in three hours). There were scantily clad GaGa styled dancers and a slew of “PR” girls all in yellow making sure the punters weren’t lonely. Waiters were easy to spot in snazzy white-tie with turquoise trimmings, and security were even easier to spot in fatigues and berets. The laser show was retina burning, bamboozling and skirted on the edge of inducing some kind of Ipcress Files breakdown. We were completely deaf when we tumbled out. Masses of fun, with absolutely no edge to the atmosphere. Q Bar – Hasten then to Q Bar, under the Opera House which is touted as the most sophisticated bar in town. We hit it quite late on in the night and weren’t at all impressed. Inside it was clubby, snooty, and very obviously where all the most knife-edge of gays decide to hang out. There’s nothing more cool about being gay than being straight. It doesn’t mean you have to pose, sneer and scowl at the heterosexuals because they decide they too fancy a bit of a dance and a drink. To be fair it seemed to be the fags’ hags that were most hostile. Maybe my shoes offended them, or they thought I was going to steal their bangles. Outside was more chilled and welcoming. 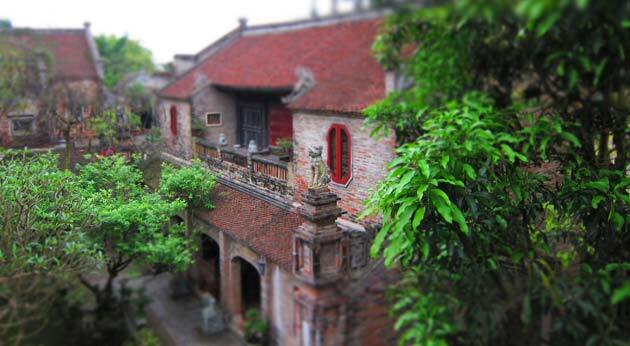 Villa - 2/F 131 Dong Khoi St – We then headed out again into the night and heard pounding bass from a darkened 2nd floor premises. This was small, dark and super gay. Thoroughly friendly, and fun with none of the bitchiness of Q, but the music was not quite as daft as Liquid. Go2 Bar - De Tham Street – We spent a few hours down on De Tham street sitting in the street side cafes. Great backpacker watching and very relaxed despite the mopeds and general street craziness. I don’t usually have any interest in hanging out in places where the tourists wear their luggage on their backs and Tevas on their feet, but this was actually pretty fun. Go2 had a great corner location which was marvelous for viewing the general goings-on and it has a pool table. 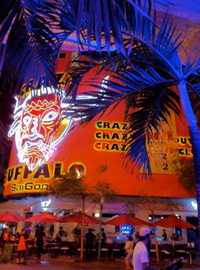 Crazy Buffalo is a huge 4 storey club that’s opened recently opposite and looks quite wild, a least from the outside. The real standout store for me was Verlim. They are an interior design outfit that also sell their own designs of lighting, objet d’art, restored and new furniture as well as paintings, carpets and upholstery. With a strong Belle Époque influence it’s no surprise that Verlim has been commissioned by the likes of David Tang for pieces in his establishments. Their style is right up my strasse. There’s also a couple of outlets of Ipa-Nima, Christina Yu’s handbag and accessories store. I still have a real soft-spot for her whimsical designs that are handmade in the country. There’s branches at The New World Hotel at 76 Le Lai Street, and also at 85 Pasteur Street. Not for the PETA members amongst my readers, but Viet Thanh has some really good value leather handbags and accessories in croc, ostrich and snake. Some of the designs are rather old fashioned, but there’s also some classic styles that will never date. Silk and embroidered goods are the other popular buys in Vietnam. I’m not a huge fan of Vietnamese silk, I prefer Thai and Laotian styles, but for embroidery they can’t be topped. There are tonnes of embroidery stores, which sell everything from Christmas napkin and tablecloth sets through duvets and kid’s clothing. You’ll find them all over District 1, and there’s not one which stood out over the others for me particularly. Kitsch but very cute. We had a good few massages around town. We particularly enjoyed My Spa at 15C4 Thi Sach Street, tel 0989 973 309. I also rather liked the Lotus Tea served in all the massage palours. I’d never come across it before. Fortunately I have never been the victim of violent crime in Asia. It does happen, but in general I think SE Asia is very safe. However, do hold onto your handbags girls in Ho Chi Minh. I always have mine clamped under my arm and over my shoulder on a short handle, and always zipped up. Right in front of The Park Hyatt at 2:30am on a Friday night a foreign girl walking a few paces in front of me was mugged by two guys on a moped. At first we thought he was just going too fast through a traffic light and was on a course to hit her and we all started shouting, then we saw he had grabbed her satchel strap which was round her neck and pulled her to the floor. We raced towards them shouting and the pillion passenger let go, but not before the girl had suffered a pretty nasty injury. We made sure she got to a clinic and she was fine, but it shook me a little as it was a violent assault rather than an opportunistic slash and grab. My only disappointment (much like Hanoi), is that there is a dearth of good boutique hotels, and I have literally no idea why this should be. Hopefully this will change sometime soon.